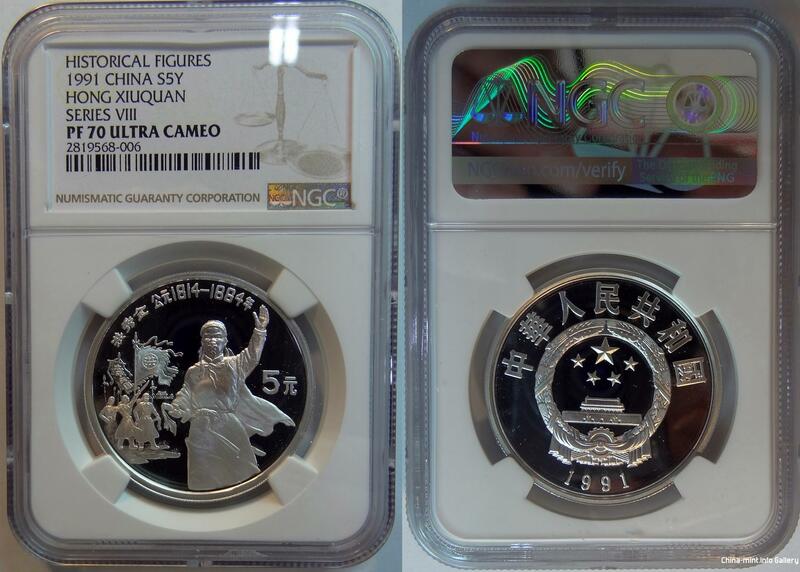 1991 S5Y Hong Xiuquan PF 70 Ultra Cameo. Silver proof of the Historical Figures series VIII. It is interesting to see the progression of frosting on many of the Historical Figures. Here is my 1991 Hong Xiu Quan. Notice the differences in the flag, spears, and men in the background.